Competitive Edge Products, Inc is delighted to offer the excellent Tanita BC554 Ironman Glass InnerScan Body Composition Monitor Elite Series. The Tanita Ironman Glass Innerscan Body Composition Monitor Elite Series provides the following features weight, body fat, muscle mass, body water percentage, basal metabolic rate, metabolic age, bone mass, visceral fat, rates your body, and offers a four person recall. 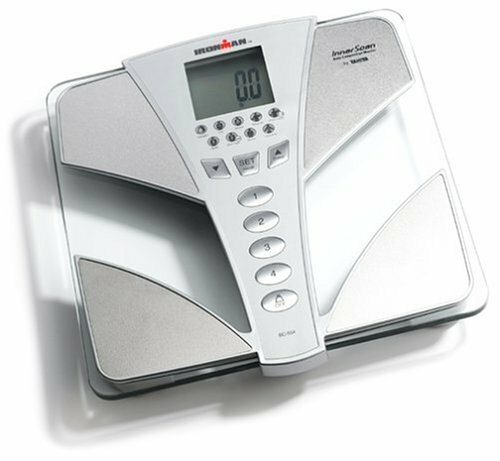 With the muscle mass and body water percentage features, you will be able to distinguish how much of your overall weight is attributed to those factors. The basal metabolic rate feature not only informs you of how many calories your body needs when resting to function, but also compares it to the average. This allows you to make adjustments on a daily basis to maintain a healthy weight. The four person recall allows the entire household to maintain their health without leaving the house. The sleek glass and silver design is sure to compliment any decor. With an easy to read 2.25 inch LED display, reading the results won't be an issue! 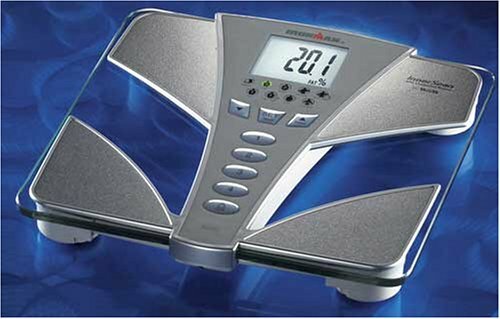 From Tanita, The Body Fat Professionals, comes the BC 554 Ironman Innerscan Body Composition Monitor. 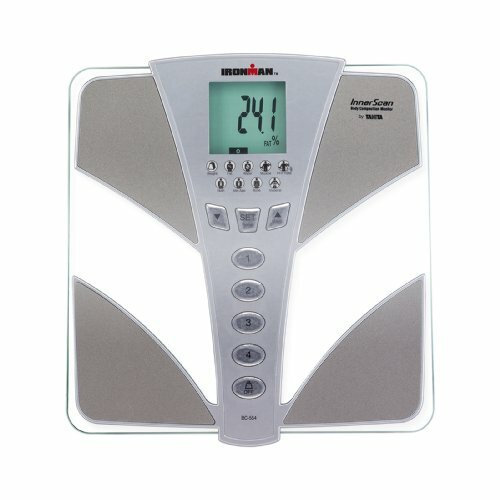 This scale is an unique and highly accurate body composition screen. This product not only measures weight and body fat, it likewise informs you your muscle mass, body water %, basal metabolic rate (BMR), metabolic age, bone mass, visceral fat and rates your body! The muscle mass feature indicates the weight of muscle in the body. The Body Water % is the total quantity of fluid in the body shared as a percentage of total weight. The BMR is the everyday minimum level of energy or calories your body requires when resting (consisting of sleeping) to function efficiently. The Metabolic Age compares your BMR to the average age related to that level of metabolic rate. The Bone Mass is the weight of your bone in your body. The Visceral Fat is the fat in the abdominal cavity (stomach), surrounding the crucial organs. The Figure Score is a score of your physique; 1-9. Its streamlined, contemporary design of glass and silver accents is a compliment to any bathroom. 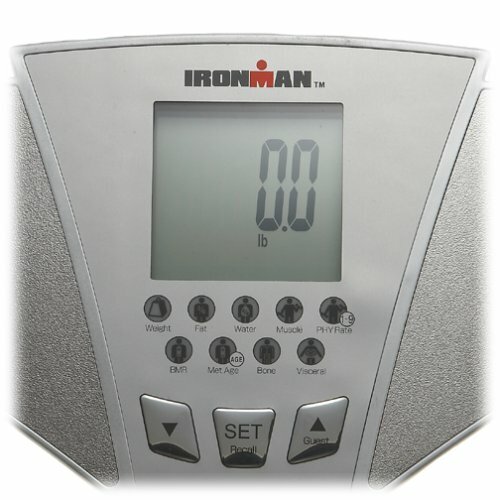 Monitor your health and fitness with an Ironman Body Composition Monitor.